THIS IS A SPECIAL OFFER FOR BIGLIFE ENEWSLETTER SUBSCRIBERS ONLY. SIGN UP BELOW! If hair loss runs in your family, Capillus laser therapy may be a great treatment option for you. The Capillus82 is an FDA-cleared, wearable, battery-operated laser therapy device recommended by physicians to restore thinning hair due to genetics (androgenetic alopecia) and prevent progression of hair loss. 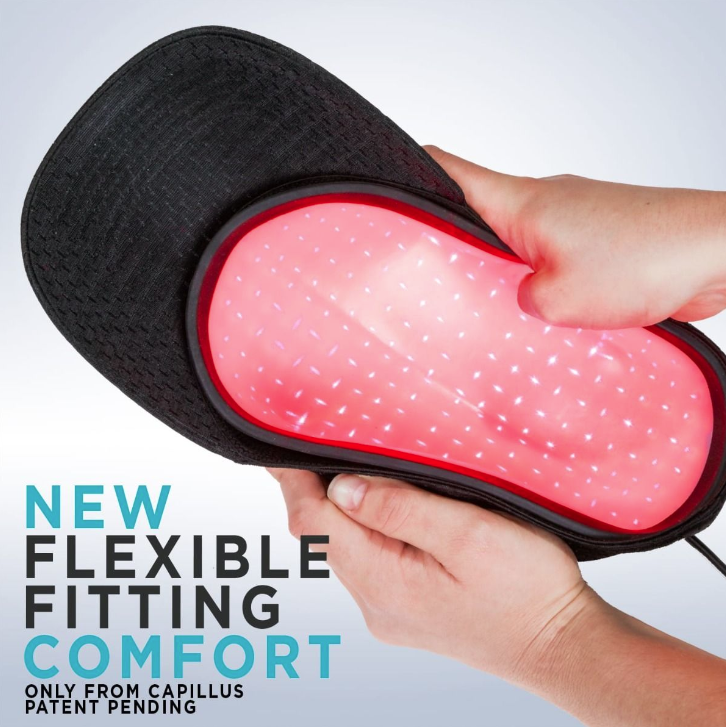 Now featuring a new, flexible fitting design which makes it more comfortable than ever to use, the Capillus82 provides clinically proven Capillus laser therapy to restore thinning hair due to genetics (androgenetic alopecia). The Capillus82 model is our value-priced device that features 82 laser diodes for great scalp coverage (compared to similarly priced helmet and comb gadgets). Wear for just 6 minutes every day under a sports cap. Its ease of use encourages compliance for maximize results. You can wear with the provided hat or any other of your preference. It works for both men and women by providing laser therapy to the follicles on the scalp by treating hair loss and hair thinning at home or on-the-go without medication, surgery, or known adverse side-effects. If you begin treatment during the earlier stages of progression, the Capillus82 can stop further hair loss and regrow the hair that has begun to thin. Keep in mind that it takes time for hair to grow. You will not notice results immediately as it takes time to restore follicle health and then for the new strands of hair to grow. For a general timeline of what to expect click here. We recommend you take pictures of your scalp before you begin treatment so you can effectively keep track of results.